Have you registered yet for Tri Mania, March 21, 2015? It’s free! Have you heard? The Luray Sprint Triathlon is now the 2015 USAT Mid-Atlantic Regional Short Course Championship! We are honored to receive this designation from USAT. • USAT uses select races in each region to be the championship race for specific distances and types. Only top races are selected! 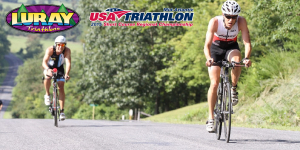 • There is no qualification needed to enter on the Luray Sprint Triathlon USAT Championship…everyone can enter. Swim Clinic has been scheduled for Saturday, July 25th!